U.S. Sen. Chuck Grassley (R-Iowa) and Rep. Rod Blum (R-Iowa) joined the Railway Engineering-Maintenance Suppliers Association (REMSA), the National Railroad Construction and Maintenance Association, Inc. (NRC) and HiRAIL Oct. 12 at the company’s manufacturing plant in Lisbon, Iowa. HiRAIL makes premium rubber level crossing systems for the rail industry at the facility, officials said. 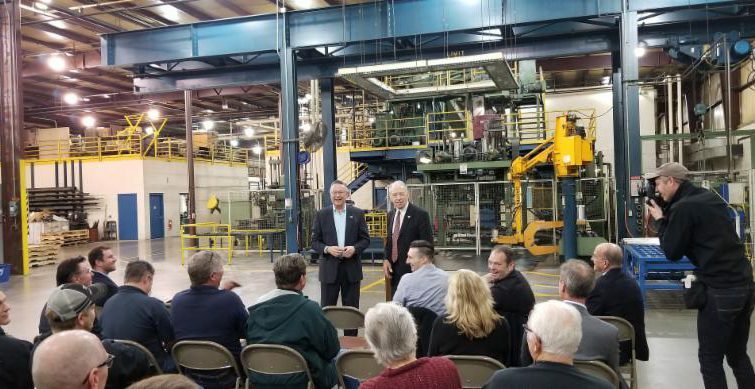 Grassley and Blum spoke to attendees and answered questions from the audience before touring the facility on a visit led by HiRAIL President Eric Schook. 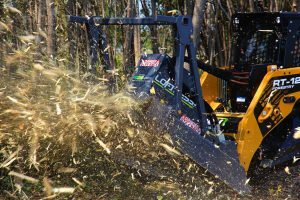 The group discussed extending the shortline tax credit and cutting down on regulations on businesses that officials say are overly burdensome. As the current chairman of the Senate Judiciary Committee, Grassley is in line to become Chairman of the Senate Finance Committee in 2019 when the 116th Congress is sworn in, REMSA noted. 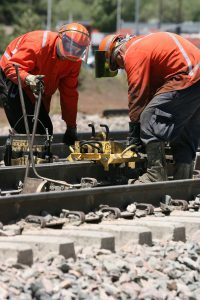 The Finance Committee has jurisdiction of all tax issues and will play a part in deciding the fate of the shortline tax credit, which supports shortline railroad efforts to maintain nearly 50,000 miles of track. Grassley previously led the committee when the tax credit was introduced into law in 2004. “I was chairman of the Finance Committee when this was approved, so obviously I want to see it continue,” Grassley said at the event. Blum also expressed support for the tax credit, which he said would provide certainty for shortline railroads seeking to invest in upgrades. 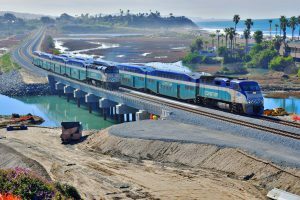 He is also a cosponsor of the Building Rail Access for the Customers and the Economy (BRACE) Act, which would make the shortline tax credit permanent. Elected to serve in Congress in 2014, Blum serves on both the House Small Business Committee and the House Oversight and Government Reform Committee. Grassley and Blum toured HiRAIL’s 40,000 square-foot facility and learned about the company’s manufacturing process, which produces durable rubber panels resulting in superior railroad crossings. The company also uses recycled rubber from old vehicle tires that would otherwise end up in a landfill, REMSA said. So far, HiRAIL has sold more than 6,000 grade crossing systems to freight, transit and industrial rail customers. 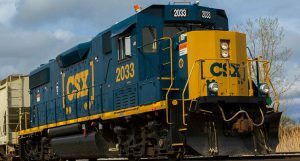 In Iowa, 15 freight railroads operate and maintain more than 3,800 miles of track, REMSA noted.